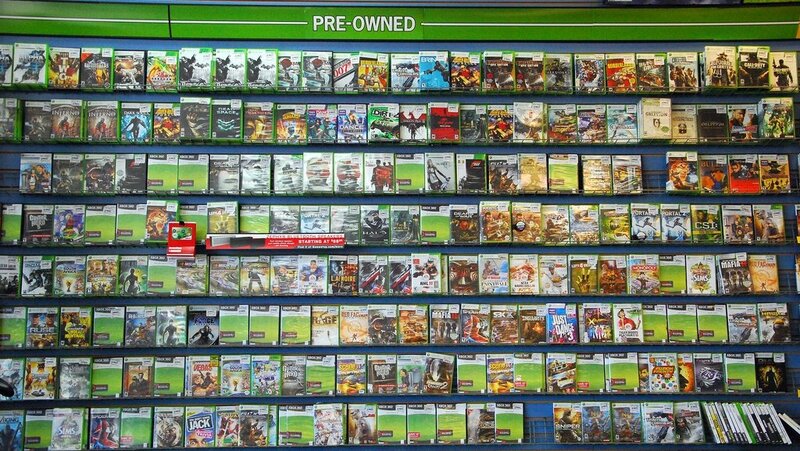 The used game controversy generated by the Xbox One’s claim to make people pay extra to play a used game has left many people thinking Gamestop, who’s revenue source comes largely from used game sales, would at least speak out against Microsoft for its efforts to cut into its used game profits. However, the news hasn’t affect Gamestop at all. In fact, since the announcement, Gamestop shares have been on the rise. If you’ve been following the news regarding how Xbox One’s used game policy works, you know it’s being left up to each individual company’s discretion. While most have denied commenting on whether or not they’ll require an activation fee, it’s widely accepted that any companies opting to do so will inevitably be shooting themselves in the foot. Although I think we can all agree EA is going to be the first company to jump on this nickel-and-dime bandwagon. Gamestop has likely refused to comment officially on the action Microsoft has taken on the used game market because it has yet to really affect them. We probably won’t hear anything until after sales reports come out once the new systems launch – although you should keep in mind that the PS4 will operate the same way Sony always has. In the end, what Gamestop really should be worried about is that games will be offer online through the Xbox One on launch day. Non-Purests who don’t care about having a physical copy of the game won’t have to give Gamestop a cent to play the game at launch. Do you think a rift between Gamestop or Microsoft is on the horizon?